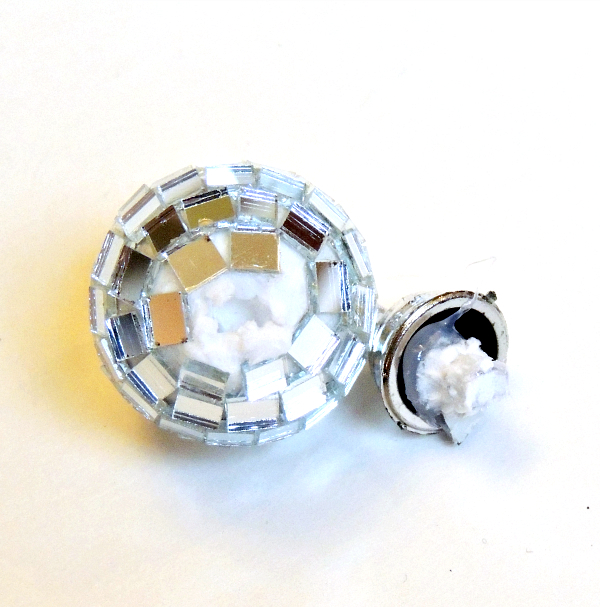 I had some mini disco ball ornaments left over from Christmas. I used them to decorate some of the gifts. Instead of packing them away for next year, I knew I wanted to use them for some New Year celebrations and decided that hats would be perfect! 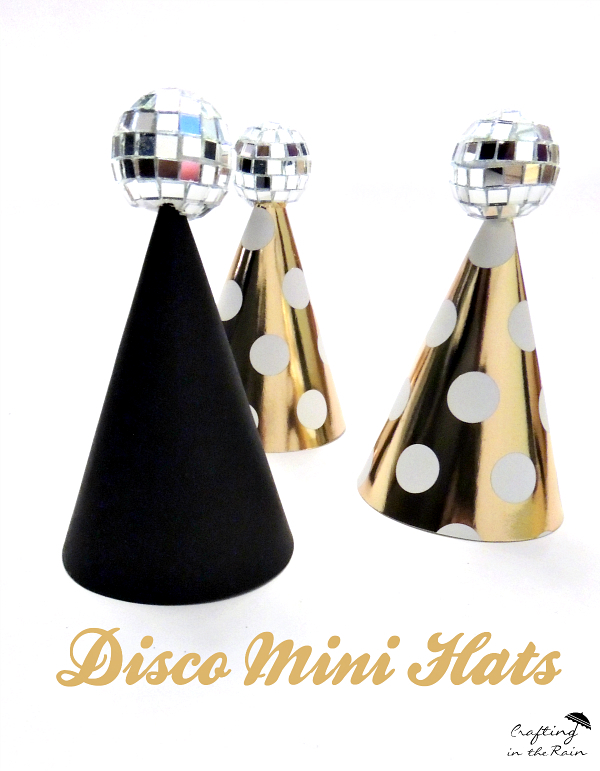 There’s a party hat template in Cricut design space, so I resized them to be about 4 inches tall. 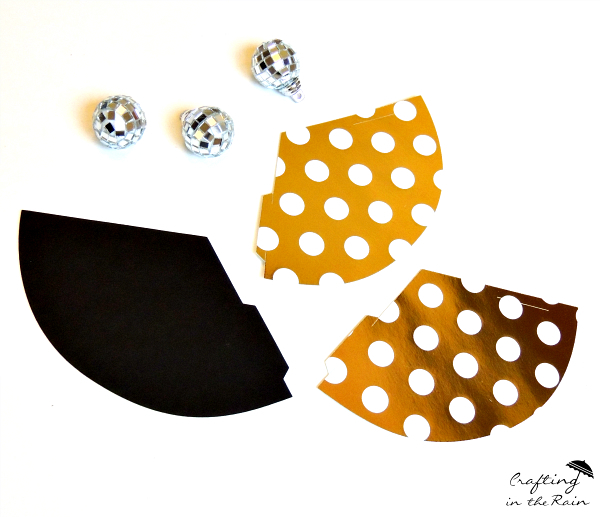 I cut the hats out of gold cardstock and used hot glue to secure the tab of the hat and keep them closed. I pulled the ornament piece off of the disco ball, then I attached it to the top of the hat with more hot glue. 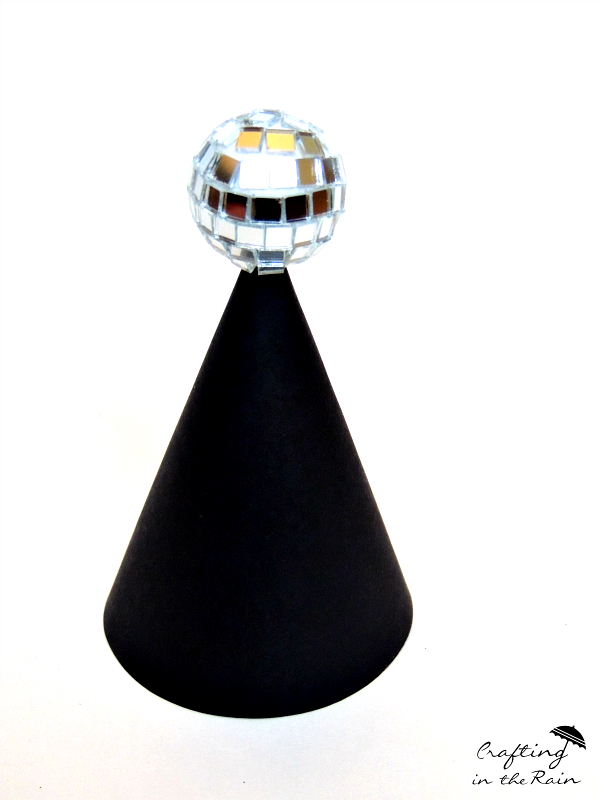 You can sometimes find small disco balls like this at the craft store too. 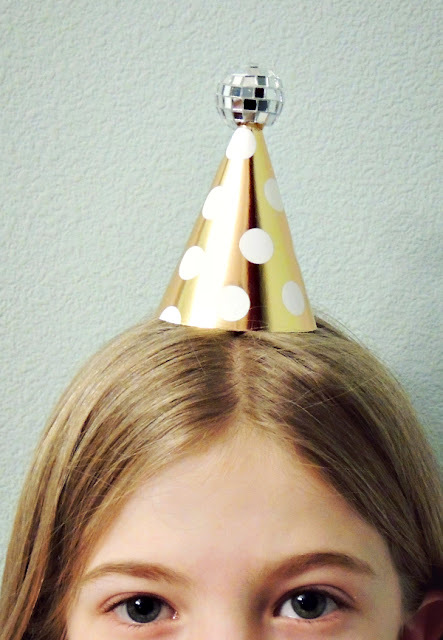 Make small holes in sides of the hat and tie in string,or glue the hat to a headband, and you have the perfect DIY mini party hat. What are you doing for New Year’s Eve? 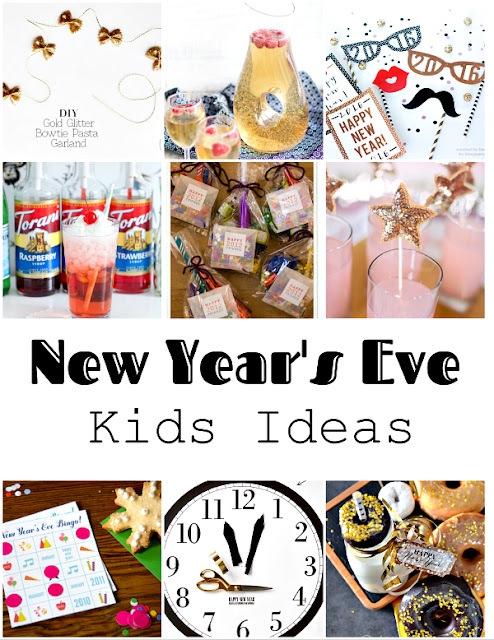 If you need some New Year’s party ideas for kids, click this picture. Mini disco ball ornaments on Amazon.